Located in the heart of downtown Los Angeles, Dodgers Stadium is home to Major League Baseball’s Los Angeles Dodgers. First opened in 1962, Dodger Stadium may be the third oldest ballpark in the league; however, it has the largest seating capacity for a baseball stadium at 56,000. Often referred to as a pitcher’s ballpark, Dodgers Stadium has been home to nine no-hitters and two perfect games. Living near Dodgers Stadium offers residents a wealth of opportunities for excellent dining, entertainment, and shopping. Located just a mile from Olvera Street, residents will be treated to one of the few locations that offers street shopping in LA. Head to the famous Rose Bowl for the once a month flea market that features everything from locally grown food to sports memorabilia. Near the stadium itself, famous landmarks like the Grammy Museum are only a five minute drive away. As an interactive and educational museum, the Grammy Museum walks visitors through a history of one of America’s favorite music awards shows and offers a one of a kind collection of musical artifacts and pieces of history. From the delicious Mexican cuisine at Loteria Grille to the ubiquitous, yet hidden Eastside Market Italian Deli, food options are abundant near Dodgers Stadium. 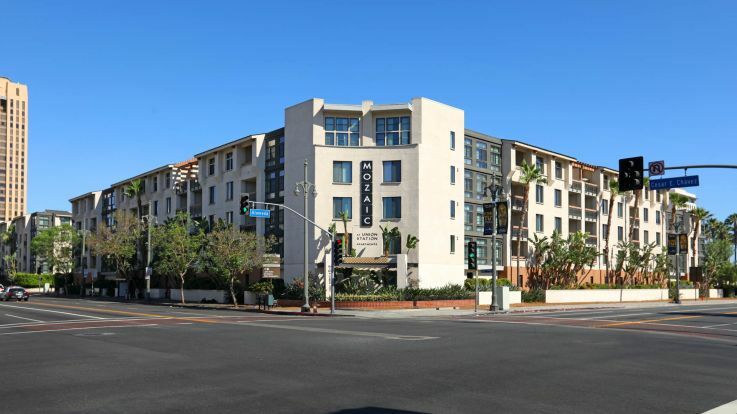 For fans of baseball or great entertainment, it is hard to imagine a better place to find a gorgeous apartment near Dodgers Stadium. 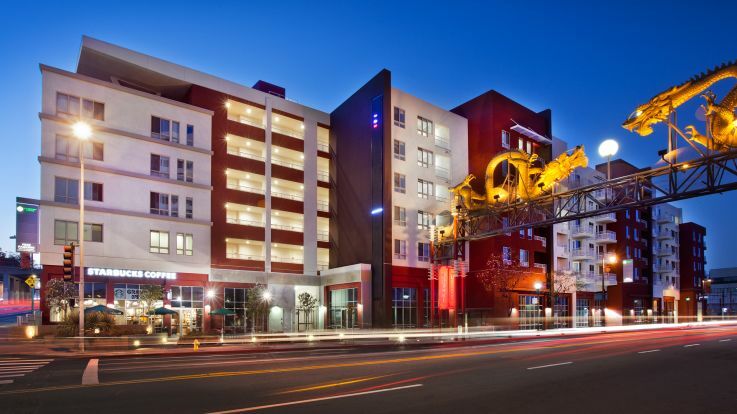 Whether one needs a pet-friendly apartment or wants a resident with the highest quality and most luxurious of finishes, there are a myriad of options located just minutes from Dodgers Stadium.